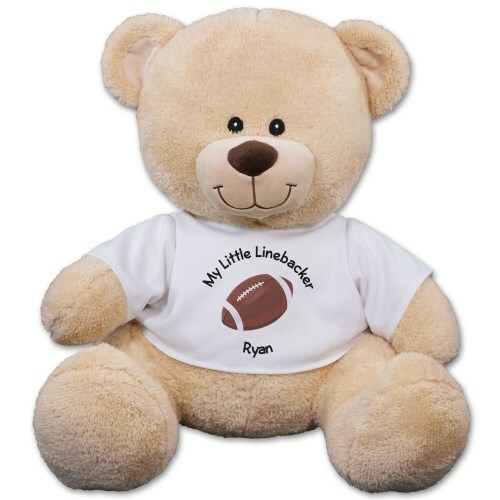 Get a high score with our football fan as you all enjoy the games with this Plush Football Fan Bear. This sporty design is featured on our Sherman Teddy Bear and includes free personalization of any two line custom message. Sherman is available in three different sizes. Please choose from our 11 inch, 17 inch or our 21 inch teddy bear. Free Gift Wrapping and a Free Gift Card are included to create a thoughtful presentation..
Additional Details Shop for all of your sports fans with our collection of Plush Sports Stuffed Animals.